We had a real early flight out of Munich airport, so we decided to stay close to the airport. When dinnertime arrived, what to eat? We decided on Italian, and Il Casale. The reviews were pretty good, so we decided to give it a shot. Was in a Pasta and Pizza mood, so went with some Rigatoni with Bacon, Peppers and Onions to start. Nice and flavorful. The pizza was real good. 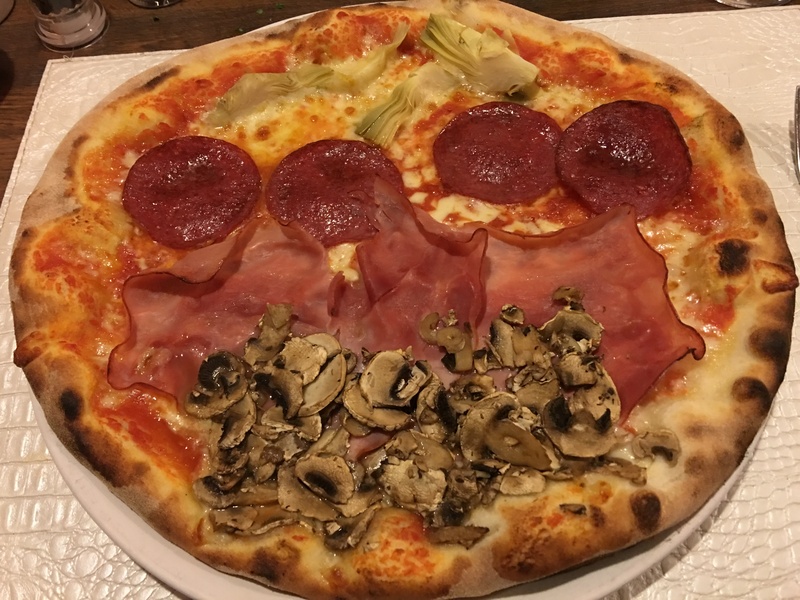 Artichokes, Salami, Smoked Ham and Mushrooms. The crust was chewy and it was quite good. Dessert was split with my colleague and I. We went for the mix platter. Tiramisu, Chocolate Mousse and Berry Panna Cotta. 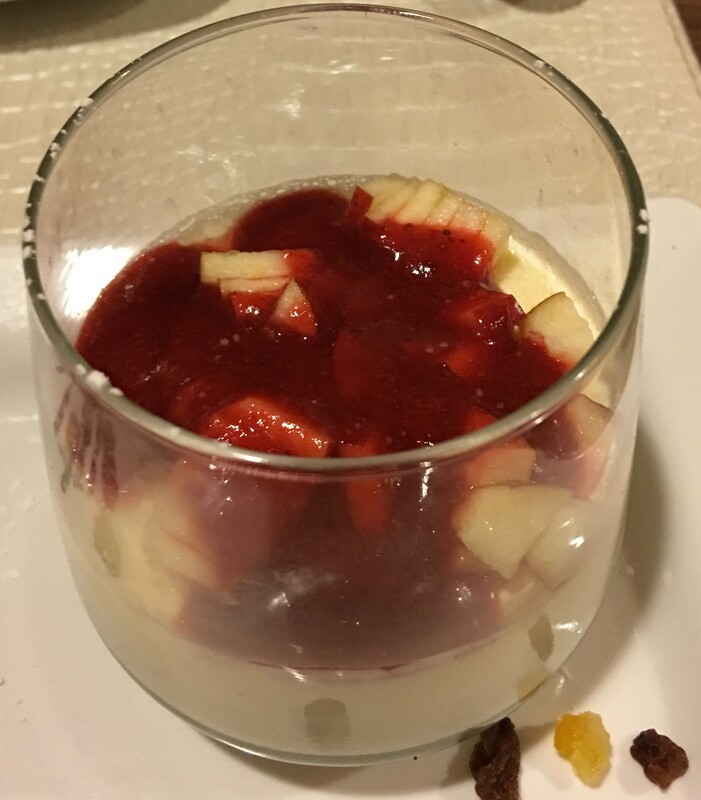 Panna Cotta was nice and smooth. 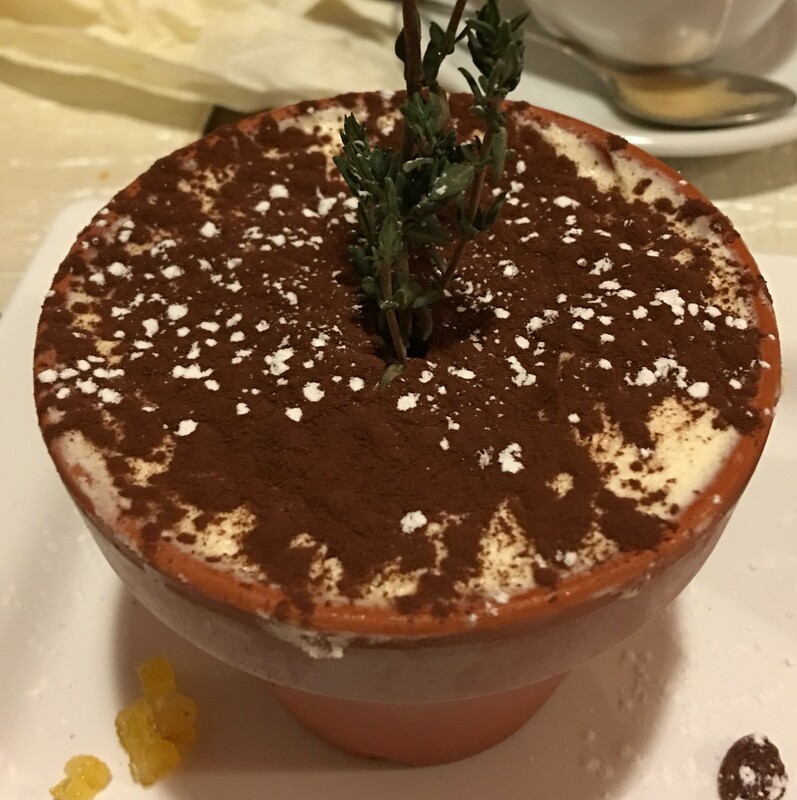 Tiramisu was interesting. Plated as a pot of dirt. If you stay near the Munich airport, go here to eat. You won’t be disappointed. 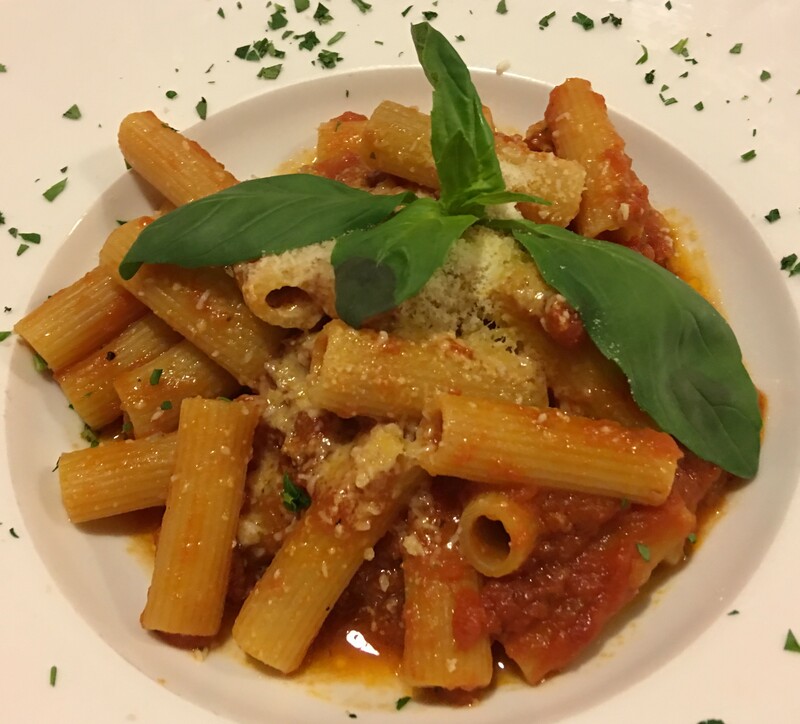 Posted in Munich, Pasta, PizzaTagged Italian, Munich, Pasta, PizzaBookmark the permalink.